The goal for this project was to make it easy for users to purchase, check balance and refill their prepaid transit card for the Utah Transit Authority. Incomm’s white label prepaid card product has a series of card management features available online. 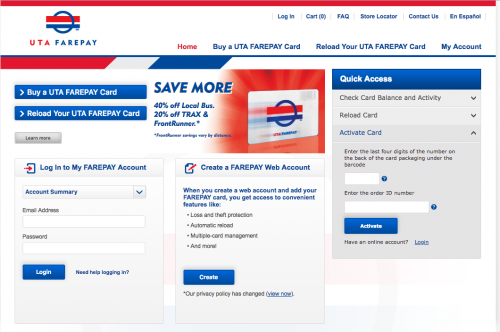 My task as UX Designer was to articulate a smooth path from the Utah Transit Authority Web site to the prepaid card management features, and perform interaction design for the Web features including card activation, check balance, and reload card balance.